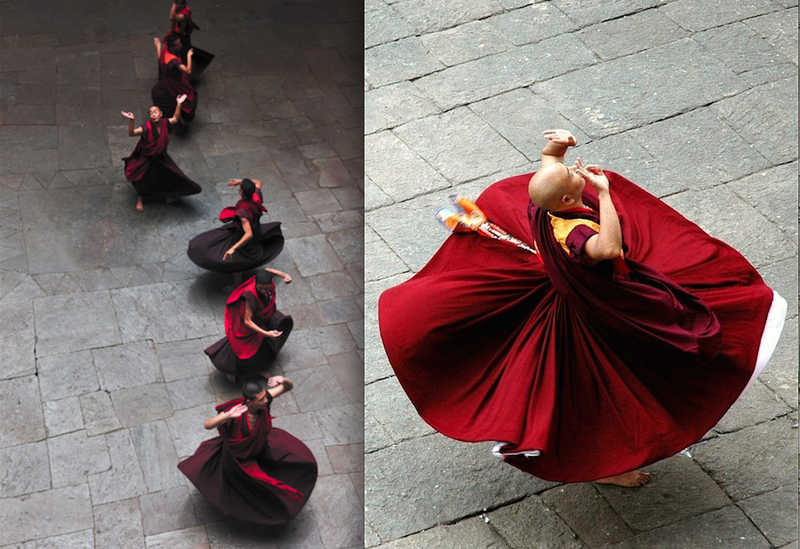 The Buddhist Monk Dance is a spiritual performance by The Tibetan Buddhists. It is ritual dance that is performed by monks for lay people. There are several stages to a cham performace and in its full form, it lasts for several days. It is quite a social gathering for the people who attend. Besides the masks, cham dancers will also often wear brightly colored robes and sometimes aprons and other ornamentation traditionally made of bone. In Buddhism, chanting is a traditional mean to prepare the mind for meditation. It is especially a part of formal practice in either a lay or monastic context. Chanting is also used for rituals.